Check out Harley and his buzz cut! 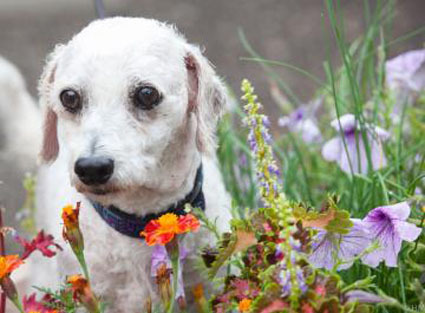 Harley is a 9 year old Bichon Frise mix. He weighs in at 17 pounds. He is sporting his summer buzz cut which will turn into a handsome curly coat as it grows. He's enjoying his time with our volunteers and staff: exploring our grounds and checking everyone out. He is a big fan of treats. Our behaviorists suggest that Harley would do best in a home with children 14 or over and that he would love to be the only dog. If you have a dog and are looking for someone like Harley, please bring your dog (and the rest of the family) in to meet Harley at our Fairport location. Harley is available free of charge to eligible adopters age 60 and over through our Seniors-for-Seniors program.